100% of Sandia Prep graduates are accepted to four-year colleges and universities. 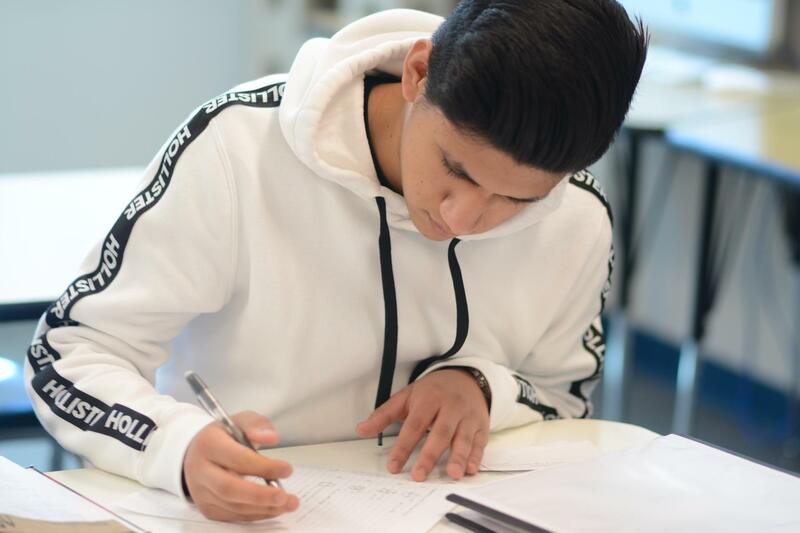 Our counselors work diligently one-on-one beginning in 9th grade to help students and their families understand the complex process of planning for and applying to college. The college admissions process is offered at each grade level - 9th through 12th grade by helping freshmen understand the importance of their early academic work and selecting the appropriate courses; providing opportunities for sophomores to explore their aptitudes and abilities as they relate to career options and future college choices; and holding on-going individual meetings with juniors and seniors are a few of the many components of our college counseling program. Additionally, the college counseling office provides assistance with financial aid and information on scholarships. More than $4 million merit scholarships awarded annually to graduating classes of approximately 70 students. 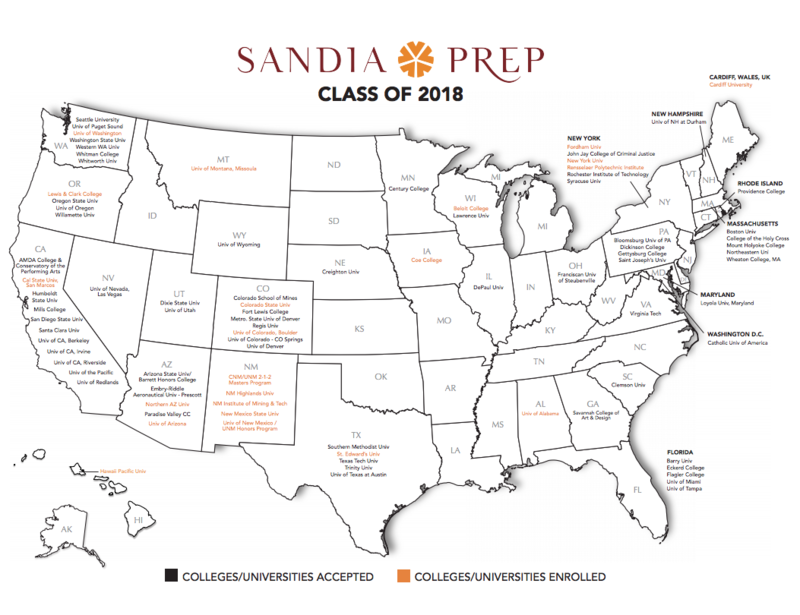 Each year more than 100 colleges and universities send recruiters to Sandia Prep to visit with students. For a full list, visit out College Visit Schedule page. Click the map below to see where our seniors were accepted and where they enrolled, as well as a list of colleges/universities attended by our graduates over the last four years.